Hidden on the left hand side of the atrium in Moser Hall is the Clarence R. Smith Mineral Museum, which recently received $20,000 in funding from Youngstown State University. The funds for the museum are providing much needed renovations. Furniture is being added for the comfort of guests, and plaques with each specimen’s name and formula are being added to the displays. 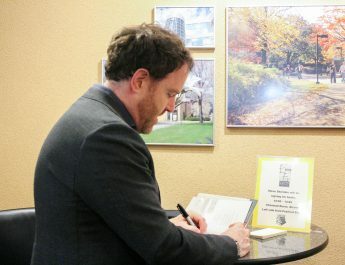 Displays are not being removed from the museum during the renovations. 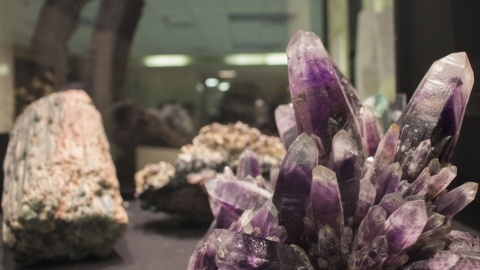 Robert Coller, director of the Mineral Museum, said upgrades such as furniture will be added to make the environment of the facility more welcoming. Once the plaques for the mineral specimens arrive, the area will be cleaned and renovations will be complete. More student workers were added through the extra funding. Michelle Klim, environmental studies student, has been able to experience the renovations at the museum first-hand. The renovations make a big difference, Klim said. Klim gives guests tours of the museum and cleans display cases. She encourages students to stop in and check out the minerals and rocks, especially since it’s conveniently placed on campus. Clarence Smith, for whom the museum is named, started to collect specimens as a young boy and gifted the collection to his son in his passing, Coller said. He said the collection is worth about $1.5 million. Darius Sanders, a civil engineering student, said he would like to know more about the museum. More improvements to the museum, including a sign, are planned to draw in more guests. Coller said he is excited to see these changes unfold. “We are just making adjustments as we go,” Coller said. 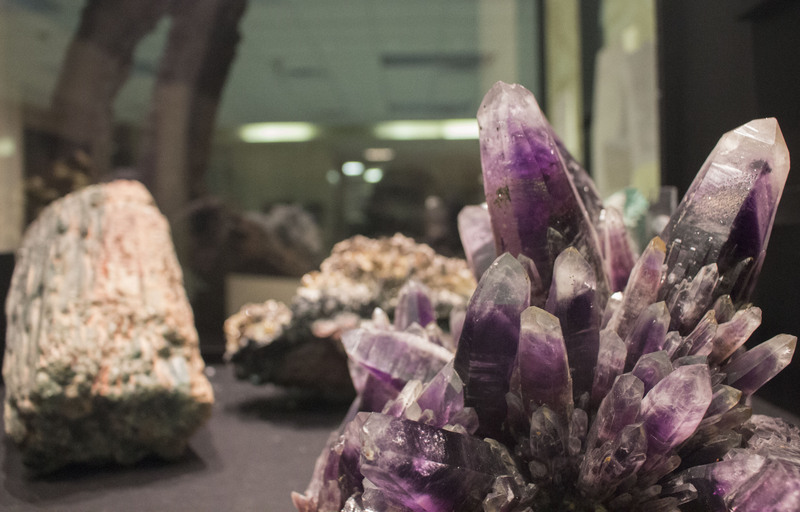 Yumin Chung, an international student majoring in English, said she thinks the mineral museum, along with other museums as well, is important to have offered on campus. The museum is still open for guests and Coller and Klim are welcoming all students to come visit. “It’s part of our earth, and it’s how we use the minerals for everyday things, and you don’t even realize it, and its cool to learn where your things come from,” Klim said.